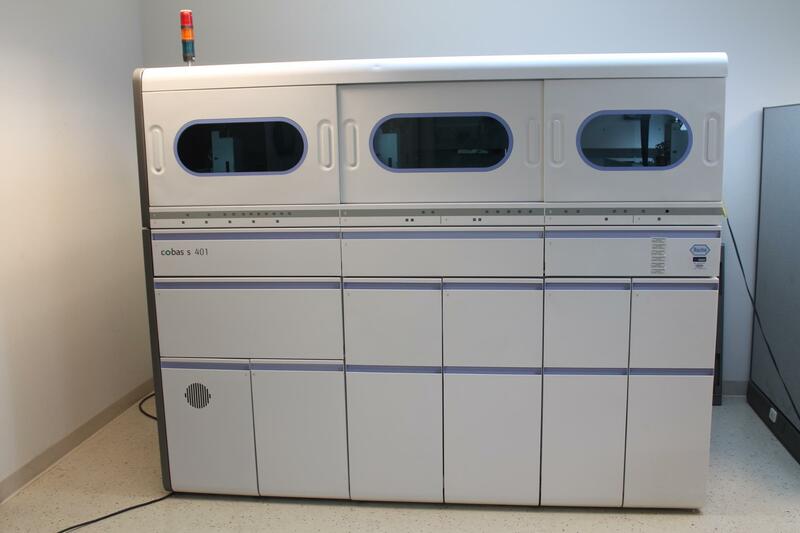 Roche Cobas S 401 Nucleic Acid Testing (NAT) Blood Screening TaqScreen MPX Assay . New Life Scientific, Inc. This system is in great condition. It has very little cosmetic damage and was not used as much as a typical system of its age because it came directly out of the manufacturer's facility. It has no computer or software included. However, it does power on and initialize well. All blinking green lights means its on system standbye. In order to control the unit you will need software and a computer. These are very rare systems (mostly outside the USA). 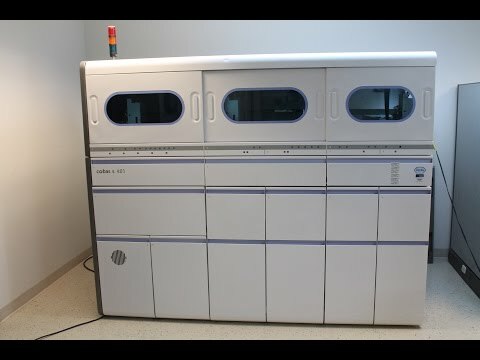 This unit is fully-automated and has a very high through-put rate. See the pictures and video for more details. What is displayed in the pictures is what you will receive unless otherwise specified. Please contact us if you have any questions regarding this item. In addition, we are willing to perform whatever tests or examinations you may request in order to better determine the condition of the unit. Simply contact us with detailed instructions.